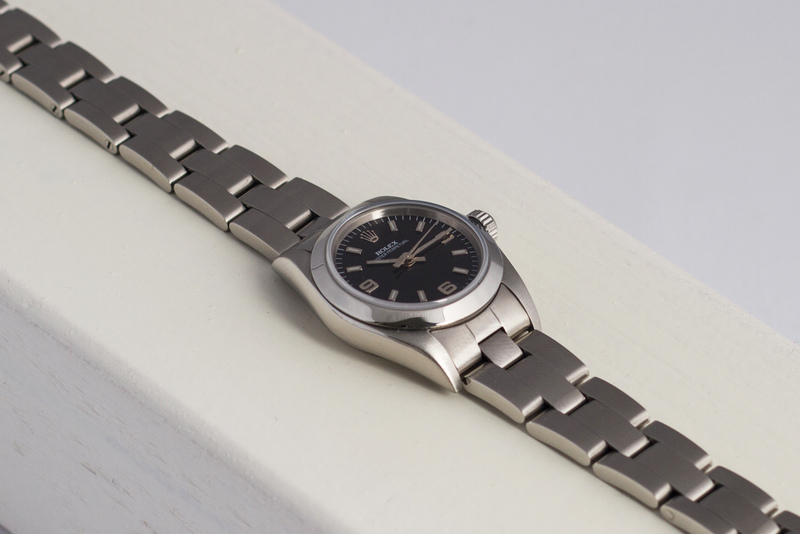 This ladies Oyster Perpetual with reference 76080 is in a kind of condition you don’t come across too often with pre-loved watches. The watch was serviced by the Dutch Rolex Service Center in January of 2017 and hasn’t been worn since. Needless to say its in a like new condition! All Rolex paperwork, booklets and warranty card of this latest service are present. 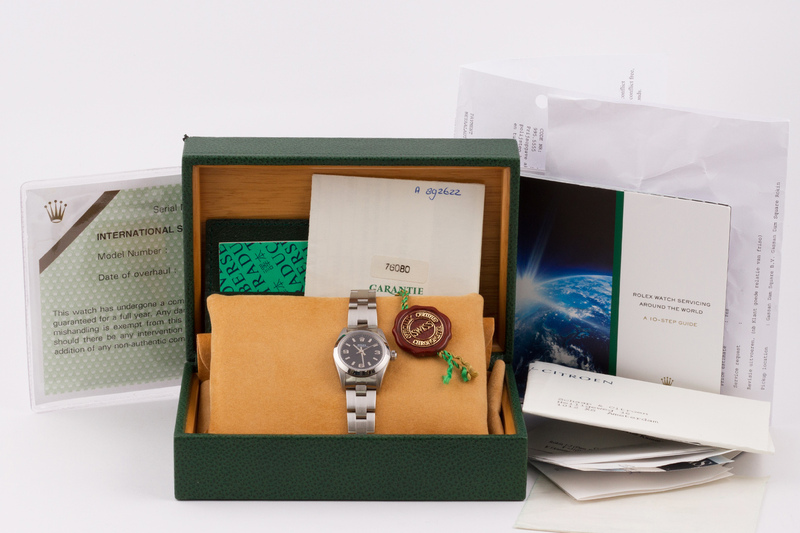 The original boxes, receipts, and punched warranty are also present with the watch. Besides the previous mentioned paperwork, all other receipts, notes, warranty cards etc. 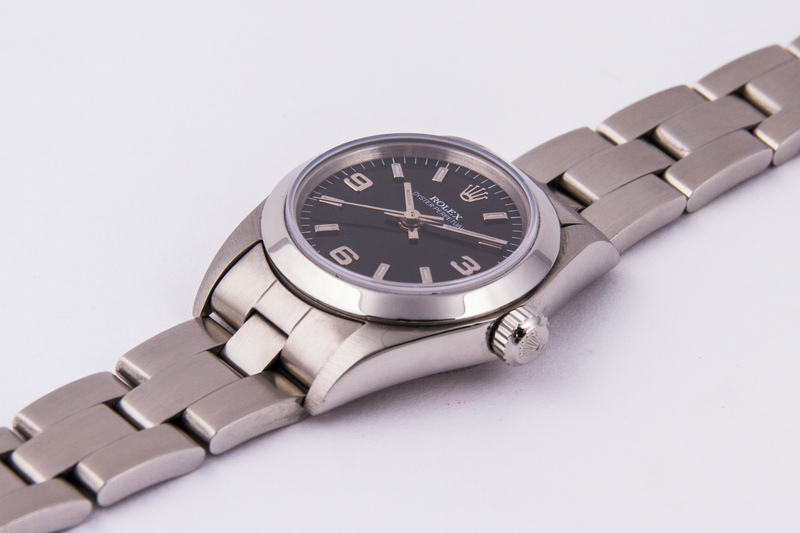 from earlier services or repairs – done exclusively by Rolex, are also with the watch! Repairs and services were executed by Rolex Service Centers in Asia and The Netherlands. This ‘Mini Explorer’ as we like to call it, is perfect for ladies with a small wrist who don’t like to wear gentleman watches because they find these too big or too heavy. 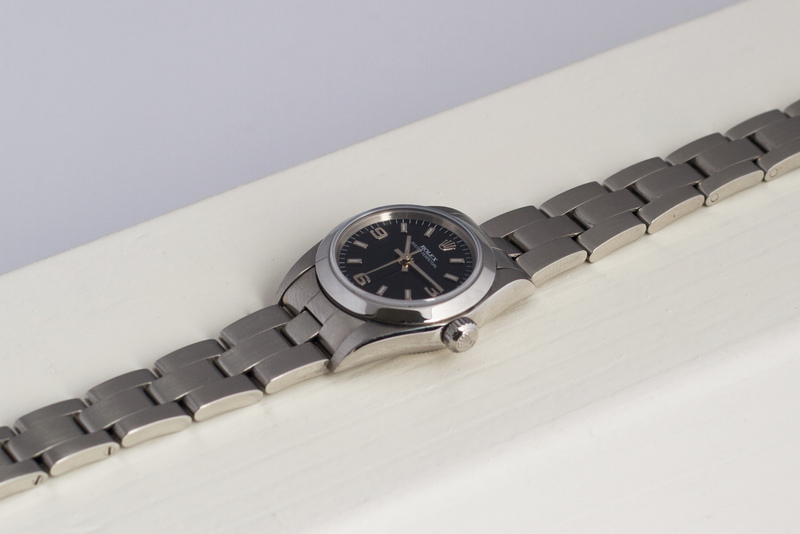 The Explorer style dial on this reference 76080 makes this a much more sportier watch than it’s relatives. Considering the case size of 24 mm, we find this a good thing! 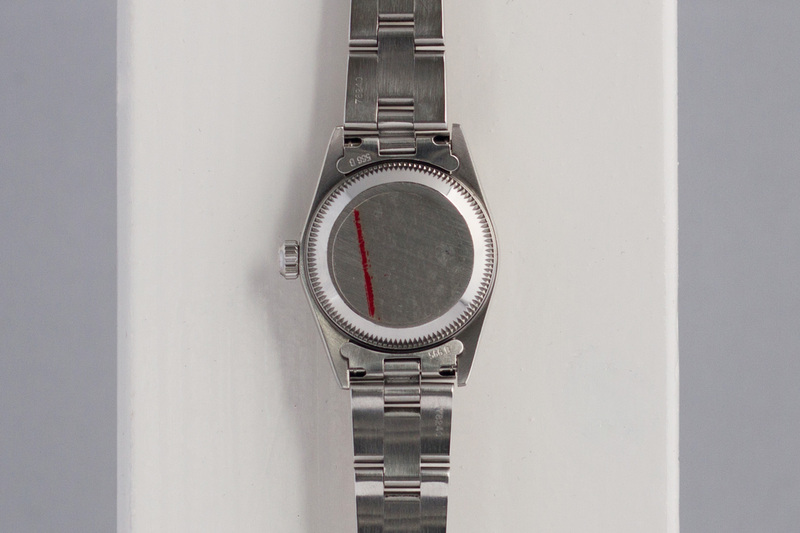 Looking for a classic yet sporty watch? Look no further – this watch has your name on it! 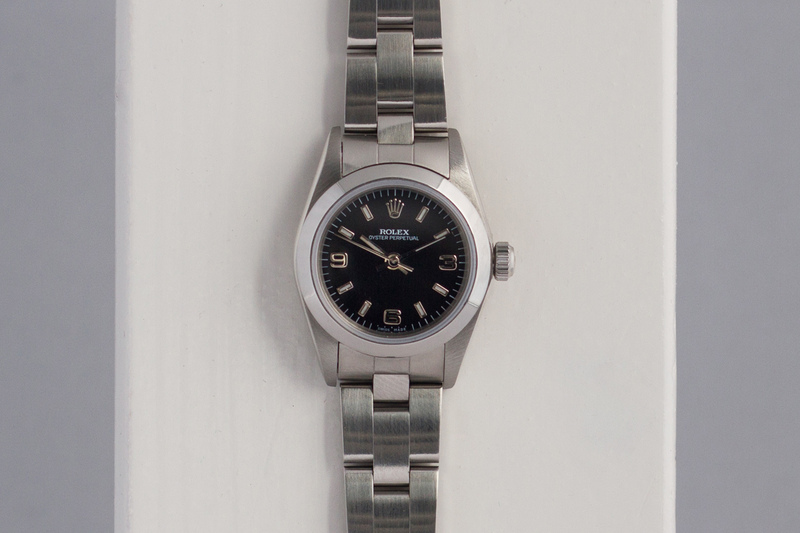 This Oyster Perpetual was completely overhauled by the Rolex Service Center and will be sold with a 12 month warranty.